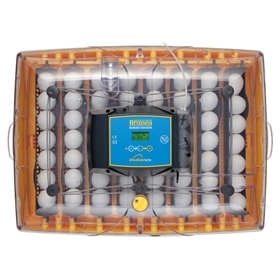 This new incubator model, Brinsea's Ovation 56 Ex Fully Automatic Digital Incubator, holds 56 hens’ eggs. The Ovations replace the older Octagon series. 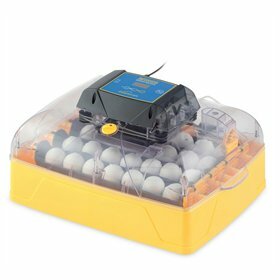 This top-of-the-line model is the most convenient of all of the Ovation incubators because everything is automated. 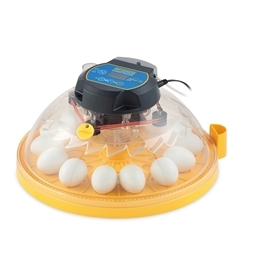 The Ovation 56 Ex has a programmable automatic egg turner, digital temperature controls in Celsius or Fahrenheit, periodic cooling (to better mimic natural incubation), and fully automatic humidity control with integrated water pump and alarms. 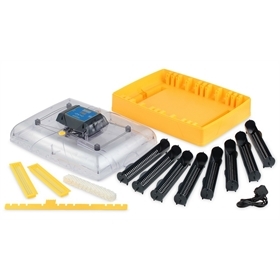 The water pump humidity control system comes partly assembled (you must hook up a tube; instructions with illustrations are provided). 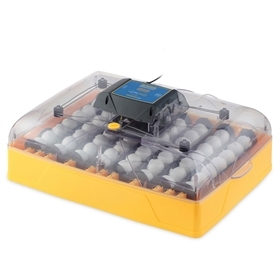 You must also provide a water container, such as a water bottle, as a source for your humidity pump. 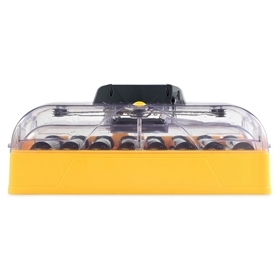 You'll need space to set your water container on the same flat surface as the incubator, so it can be hooked to the pump. 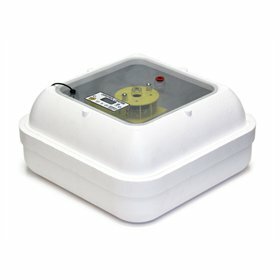 The water container cannot be placed on top of the incubator. If you're looking for a lower priced incubator with fewer automated features, please check out the Ovation 56 Advance.